One member of the library staff, known fondly as Sebastian anna has stood by the movement and the students from the very beginning. 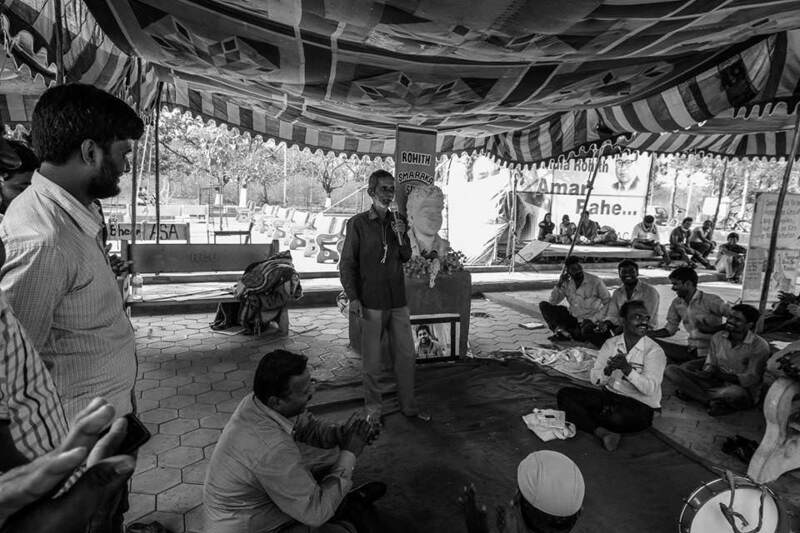 He spoke about his own experiences of caste discrimination, the university, Appa Rao, and his faith in the students. Listen to his speech here.